Do red decals for teen drivers work to save lives? A recent study shows that understanding a single statistic can change the public’s attitude on the need for safe driving laws. With that in mind, we are posting a series of single statistics on a variety of traffic safety issues. Many lawmakers are reluctant to enact driving safety laws because they feel – rightly or wrongly – that the public doesn’t support such reforms. If your state legislature is debating a traffic safety issue, it’s hoped that this single statistic will provide the public with the knowledge needed to make informed decisions that they can then share with their representatives. In 2010, New Jersey enacted “Kyleigh’s Law,” an act that required all 16 to 20 year old drivers who hold a learner’s permit or intermediate license to display red decals on the front and back license plates of any vehicle they drive. New Jersey has some of the most comprehensive Graduated Driver License (GDL) laws in the nation and the intent of the act was to aid police in the enforcement of the GDL laws . 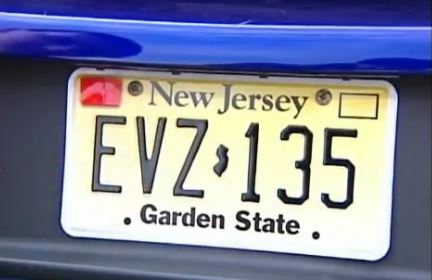 While other industrialized nations have used some sort of identifying marks for teen drivers for quite some time, New Jersey was the first and only state in the US to implement such a law. GDL laws allow teen drivers to gain more experience before full driving privileges are granted and they have been proven to save lives. However, many states have still not implemented all of the recommended components of graduated driver license laws. Motor vehicle crashes are the leading cause of death for all 15- to 20-year-olds, according to the most recent data available (2009) from the National Center for Health Statistics. Young drivers make up only six percent of the total number of drivers in the US but, in 2012, they accounted for nine percent of all drivers involved in fatal crashes and 13 percent of all drivers involved in police-reported crashes. In the first study on the law’s effect, the Children’s Hospital of Philadelphia (CHOP) compared teen crash statistics from the four years before the enactment of Kyleigh’s Law with crash statistics for the two years after. After eliminating factors such as gender, age, gas prices, month of the year, and crash trends among older drivers, CHOP determined that the presence of the red decals led to an overall reduction of 9.5 percent in the crash rate among teen drivers. Even more significant was a reduction in the cash rate among older teens with a reduction of 13 percent per year for 18-year-olds and nearly 17 percent for 19-year-olds. In the years prior to enactment of the law, there was no significant reduction in crash rates for those two age groups. According to the CHOP researchers, an estimated 3,197 fewer intermediate drivers were involved in motor vehicle crashes after enactment of the law.